I’m Nicholas Bayerle, and I founded the Billion Dollar Body with the help of my inspirational wife, Amanda. I have a huge vision for my life, for your life, and for this community. That’s because I transformed my entire world through fitness and saw how it deeply impacted my income, my marriage, and my outlook on the power of each of our lives. I know what exists inside of each man – confidence, purpose, strength, and a drive to excel and succeed. Too often though, men become misguided or distracted and quickly forget how valuable they are. 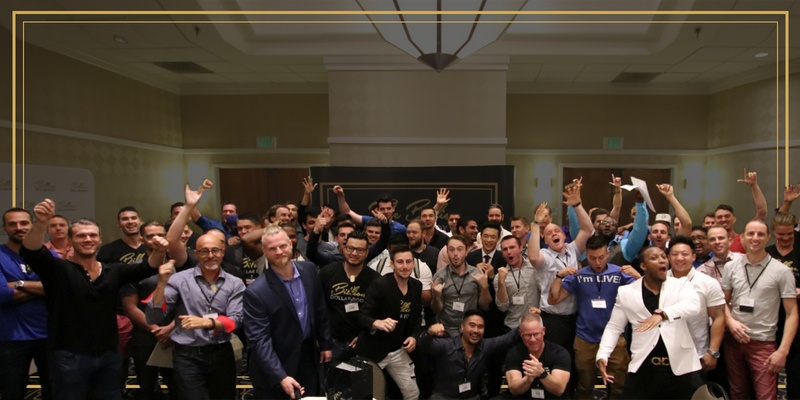 I created The Billion Dollar Body to help each man to return to their true self – to push their body and mind to the limit – to actively grow and be accountable to the bigger vision of their life. 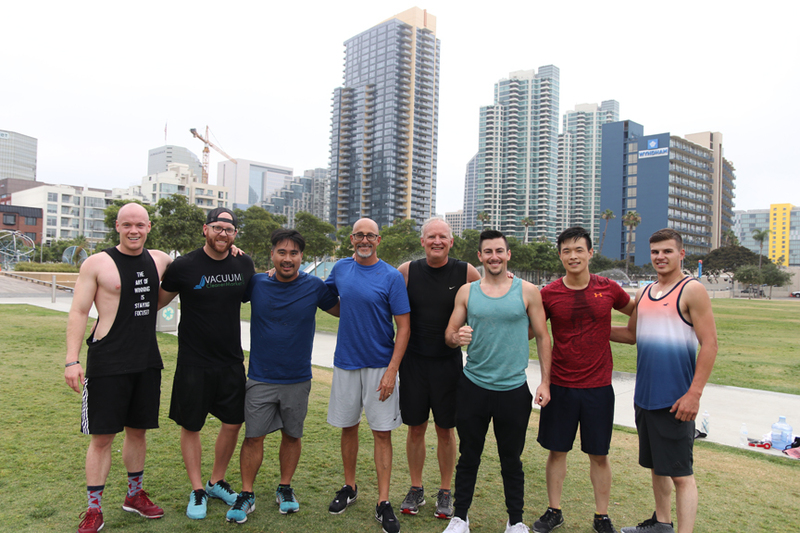 Through the cornerstone of fitness and health, each member of this motivated brotherhood is dedicated to serving their own desires and goals, as they commit to looking and feeling like a billion bucks. The Billion Dollar Body is challenging men to become their best selves. We are re-defining what it means to be a modern day businessman. Too many men are sacrificing everything to gain wealth only to lose it all. We want to prevent that. We are currently giving men hope that by helping men destroy addictions, overcome suicidal thoughts, make more money, find best friends, marry the woman of their dreams, find confidence, impact people’s lives, and literally change their future generations based on the leader they are becoming. We have also partnered with a non-profit called the Winning Edge, where we have raised over 40k for children. This organization is changing the lives of kids all over the country. We do this through our live event, BDB Live, The Billion Dollar Brotherhood Club, and our year long mastermind, BDB Elite. So who am I, Nicholas Bayerle? I’m the CEO of The Billion Dollar Body, a lifestyle brand for the business who wants to have it all. I went from obese, broke, and no girlfriend, to now married to the woman of my dreams, fit, and thriving in business. I grew up in San Diego, CA my whole life and have always wanted to be a business owner like my dad; that was until we had a falling out which led to depression and gaining a bunch of weight. High school sucked — I was bullied, and graduated with a 1.8 GPA. No one in my family thought I would even graduate, let alone accomplish anything big. Once I lost the weight, I got into missions work which is where I met my wife, Amanda Bayerle. We knew right away that we were meant to be together, and so we got married at 18 and 20, completely broke and in love. I knew as a husband that I needed to make money, but I couldn’t work for someone else; so we got started in business together doing health coaching. Trying to figure it all out, we finally made our first 6 figures in a year, which was life changing. We invested in masterminds, events, and mentors that could get us to where we wanted to go and guess what? It worked. Now we have evolved into creating a movement of businessmen. I saw that there was a gap in the marketplace and I wanted to fix it. Since doing this movement, I’ve become an international speaker, have been featured in Forbes, became a podcast host, and was rated Top 30 Under 30 Influencers. I’ve worked with some of the top businessmen and am passionate about seeing men prosper in health, business, and relationships. I’ve shared the stage with Lewis Howes, Cole Hatter, Jay Abraham, Russel Brunson, and Jordan Harbinger, and been interviewed on the top business podcasts. I’m the creator of the #1 annual businessmen’s event, Billion Dollar Body Live. With this opportunity, we’ve been able to partner with and raise money for The Winning Edge, a non-profit to help kids learn self-worth and tools for success.